Area:Land 181 km². Freshwater n.a. Exclusive economic zone 2,131,000 km². Climate: Wet season from May to November. Islands border typhoon belt. Geography: Two archipelagic island chains of 30 atolls and 1,152islands. Economy: Aid, military spending, agriculture. Turtles were occasionally raised as pets. Experimental pearl culture was done by a Japanese company prior to World War II and abandoned during the war. Experimental sponge culture was also done by the Japanese prior to World War II and the results indicated that sponge culture had commercial potential. In 1983 a 2-ha commercial blue shrimp farm was proposed. The national strategy is to develop a strong, diversified, environmentally friendly and economically feasible national mariculture industry spread over the 35 Marshallese atolls as a means of sustaining the Marshallese population and its way of life. The national strategy currently focuses on development of farms ranging from small- to large-scale culturing high-value, niche products with demonstrated feasibility, such as black pearls, giant clams, and soft and hard corals for the aquarium trade. At the same time, a strong inter-institutional collaborative effort between national and international stakeholders is working to develop other culture species to assure food security, employment and income generation. These include various species of marine finfish, sponges and new species of marine ornamentals. A strong emphasis on strengthening the extension network, building stakeholder capacity and improving all levels of formal education are viewed as the foundations of a strong and sustainable future mariculture industry. The need for mariculture development to compatible with the environment and socio-economic well-being is also a guiding principal, hence the recent development of a national mariculture policy. Since the early 1990s there has been a low level of commercial activity of black pearl production, with several thousand pearls produced. Two companies are presently involved in pearl farming at several atolls including Majuro, Arno and Jaluit. Production of pearl oyster spat was achieved by a pearl hatchery established on Majuro atoll. The country has many atoll lagoons where pearl farming could be extended. 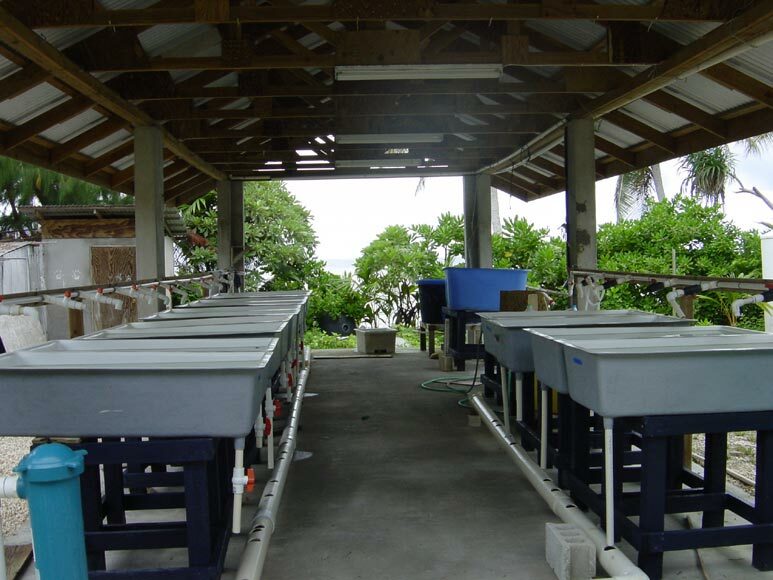 The government operates a giant clam hatchery on Likiep atoll. The giant clams from Likiep atoll are sold to a private company on Majuro which maintains a hatchery. The company also cultures other marine ornamental species such as corals and fish, which are exported for the aquarium trade.